The Alberta government will provide nearly $9 million in temporary funding to help financially troubled Carillion Canada continue its highway maintenance operations and pay its employees. 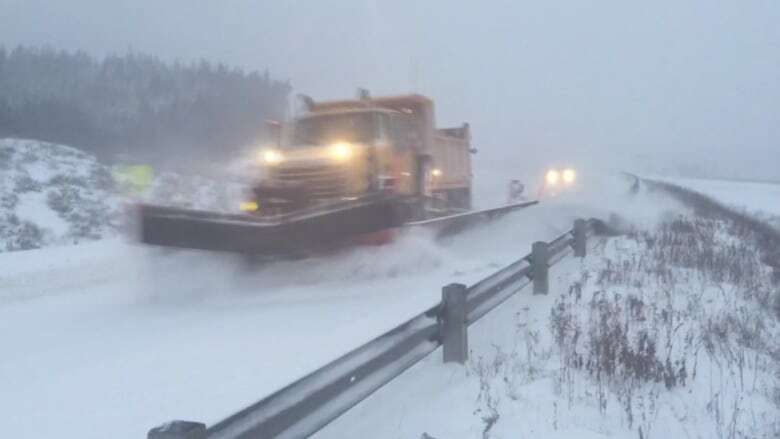 In a news release Wednesday, the province said it will make up to $8.9 million available to the company, which is responsible for maintaining 43 per cent of the provincial highway network. The funding will help Carillion maintain its Alberta highway operations until April 30, the government said. The money will also help the company cover outstanding amounts owed to vendors for bills incurred during the winter maintenance season, the government said. Carillion Canada's parent company, British multinational Carillion PLC, went into receivership in January. The cash injection means there will be no disruption in highway maintenance, including plowing and sanding, the government said. Transportation Minister Brian Mason said the government "didn't really have a choice" other than to step in with funding to help Carillion Canada continue its operations through the end of the winter. No other companies were able to take over the work on short notice, he said. "They [Carillion Canada] were losing money on the contract, they were being subsidized by their British [parent] company, and that of course is no longer available since it's in receivership," Mason told reporters. "So in order to allow them to pay for supplies that they need — the gravel and the sand — and to pay their workers and continue to meet their obligations under the contract, we've provided them with $8.9 million. "We have our own auditors, and we have … Ernst and Young keeping very close eye on all of it so that none of this will go to profit. This is just to cover their costs until the end of April so they can keep our roads open and safe." Carillion Canada recently sought an order and stay of proceedings from the Ontario Superior Court under the Companies' Creditor Arrangement Act. Carillion has more than 300 snowplows in Alberta, roughly half of the snowplow fleet in the province. The company employs about 300 people in Alberta during the winter and up to 500 in summer, the government said. Stettler, Three Hills, Drumheller, Hanna, Coronation, Provost and Oyen. Information on Alberta Transportation's website says the contract is due to expire July 31, 2022. Fort McMurray, Boyle, Smoky Lake, Cold Lake, St. Paul, Lac La Biche, Vegreville, Tofield, Lamont, Lloydminster, Wainwright, Vermilion, Camrose, Viking and Killam. Contract expires July 31, 2023. Slave Lake, Wabasca, Swan Hills, High Prairie, Kinuso, Sherwood Park, Morinville, Gibbons, Barrhead, Westlock, Athabasca, Leduc, Warburg, Drayton Valley and Stony Plain. Contract expires July 31, 2019. Mason said a clause in its agreement with Carillion Canada allows the government to cancel the contracts "at any time." He said the focus now is on finding a long-term solution. "We're working on a number of different options right now which I can't really talk about because it's not finalized or determined yet."